Why Jagan angry on his Party Leaders? 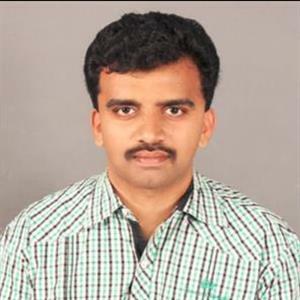 Sri Ramachandra Murthy June 7, 2018 15:00 IST Why Jagan angry on his Party Leaders? According to sources angry and deeply upset over his party leaders for failing to 'gather' people for his ongoing Praja Sankalpa Yatra in West Godavari district which saw poor turnout, YS Jagan reportedly threw a water bottle at the district president and other senior leaders of the party. Meanwhile Jagan was so disappointed with lukewarm response to his Padayatra in the several places of West Godavari district. Further the response for his Yatra in Rayalaseema was moderate, the response for the yatra deteriorated after it entered Guntur district. Moreover the crowds were not in large numbers in Palakollu, Achanta, Penugonda and the latest being Tanuku and further not just in rural parts, even the public response to his yatra in the major towns said to have shocked Jagan. Furthermore Jagan told to have expressed his deep displeasure on the local leadership over failing to pull crowds to his Yatra. Jagan is particularly upset with very less turn out in Achanta and Tanuku. Moreover it is said that the response for his yatra in West Godavari delta is very disappointing for Jagan. Hance Jagan told the leaders that they failed to get people for his yatra while he was doing the yatra with a great difficulty.